Jody Wilson-Raybould grew increasingly agitated about being moved from the justice portfolio — and public perceptions of her shuffle — despite repeated assurances from Prime Minister Justin Trudeau and his former top adviser, new documents released by the Commons justice committee reveal. Gerry Butts, the prime minister’s former principal secretary, tabled with the committee dozens of pages of text messages and a transcript of a Jan. 7 conversation between himself, Trudeau and Wilson-Raybould which took place one week before the Jan. 14 cabinet shuffle. The transcript of that call, which took place while Wilson-Raybould was vacationing in Bali, confirms that the B.C. MP told the prime minister she believed she was being shifted out of justice “for other reasons.” Trudeau told her the shuffle would not be happening if Scott Brison hadn’t resigned as Treasury Board president. 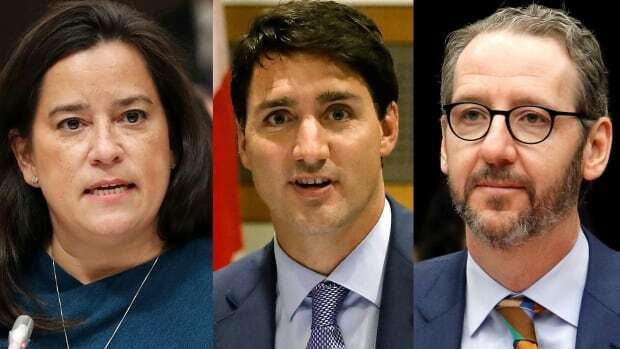 Butts’ submission includes text messages he exchanged with Wilson-Raybould in subsequent days, which show the two finding it difficult to connect for a telephone conversation. “Timing of pushing me out (which will be the perception, whether true or not) is terrible. It will be confounding and perplexing to people,” reads one text from Wilson-Raybould. She went on to state that her “unreserved view” was that moving her would be a mistake. “There is no way to explain this. My eyes are wide open on this shift,” she wrote. The SNC-Lavalin matter was never specifically mentioned in the texts, which are redacted, but Wilson-Raybould has testified that she believes she was shuffled over her refusal to overturn a decision by the director of the Public Prosecution Service of Canada not to offer the Montreal-based engineering firm a remediation agreement as an alternative to criminal prosecution. Butts offered an explanation for the move, insisting that much of the heavy lifting had been done on the Justice file and that a solid minister was required to head up the Veterans Affairs portfolio, a department with one of the biggest budgets. Butts also said that offering Wilson-Raybould the Veterans Affairs post after she turned down the Indigenous Services file was an “extraordinary” step for the PM to take. Does it get more Canadian than a Zamboni in a ditch?